SINN FÉIN HAS complained about what it says is a change to the format of the controversial constituency debates being hosted by TV3′s Vincent Browne. The party has not ruled out the possibility of withdrawing its participation from ‘The People’s Debate with Vincent Browne’ which intends to visit every constituency in the country in the coming months, holding debates involving sitting TDs, party representatives and a local audience. “We haven’t made that decision, but the current format doesn’t work as a fair and democratic debate,” a Sinn Féin spokesperson told TheJournal.ie this evening. Last week, Fine Gael and Labour withdrew their participation amid concerns over the lack of notice that the debates were happening, uncertainty over the format and the belief that such debates were premature with an election theoretically over a year away. Sinn Féin is now in dispute with TV3 over what it says is a change to the format where the party’s election candidates are NOT allowed participate in the debate panel and must instead sit in the audience which will be allowed contributions. TV3 is proposing that the main debate panels will only feature sitting TDs, leaving some parties unrepresented in certain constituencies where they have no Dáil representation. TheJournal.ie has seen a letter sent to Sinn Féin on 6 January 2015 in which TV3′s director of news Andrew Hanlon stated that the party’s declared or prospective candidates for the forthcoming general election would be “invited to attend and participate on the panel” alongside sitting TDs. However, in a letter to Sinn Féin’s head of communications Ciaran Quinn yesterday (13 January 2015) Vincent Browne’s executive producer Lisa-Marie Berry wrote that “if they choose to attend, prospective election candidates participate in the debate from the audience“. This change in format has promoted Sinn Féin to claim that TV3 has “folded to the government’s demands and will not allow candidates equal access and balance”. “There is a need for TV3 to stand up to the government parties and not allow them to dictate the terms of the debate and exclude the majority of current public opinion”. TV3 did not immediately respond to a request for comment this evening. The first of 40 planned constituency debates was pre-recorded in Wicklow last Friday night and is due to be broadcast on TV3 tonight at 10pm. Only two of the five TDs in the constituency, independent Stephen Donnelly and former Fine Gael deputy Billy Timmins, participated with the two Fine Gael TDs, Simon Harris and Andrew Doyle, and Labour deputy Anne Ferris not in attendance. The next debate is due to be pre-recorded in Ennis, Co Clare this Friday where there are two sitting Fine Gael TDs, Joe Carey and Pat Breen, Labour’s Michael McNamara and only one opposition TD, Fianna Fáil’s Timmy Dooley. This evening, a spokesperson for the Tánaiste said that TV3 is seeking fresh talks about a new format for the debates and indicated that fresh proposals would be given consideration by Labour. A spokesperson for the Taoiseach said there had been no new proposals made to Fine Gael as of yet. Email “Now Sinn Féin could pull out of the Vincent Browne constituency debates ”. 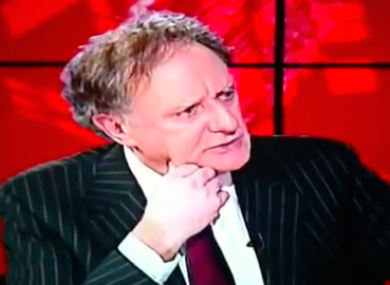 Feedback on “Now Sinn Féin could pull out of the Vincent Browne constituency debates ”.